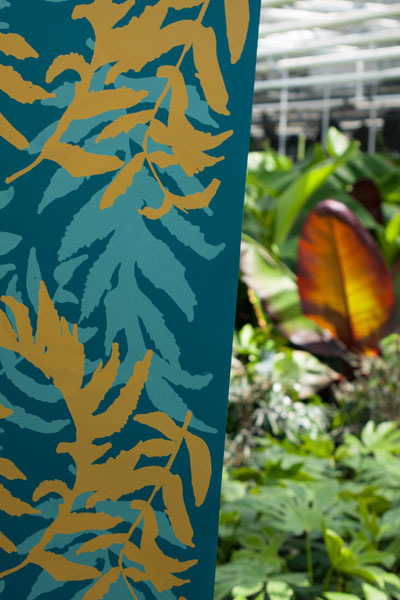 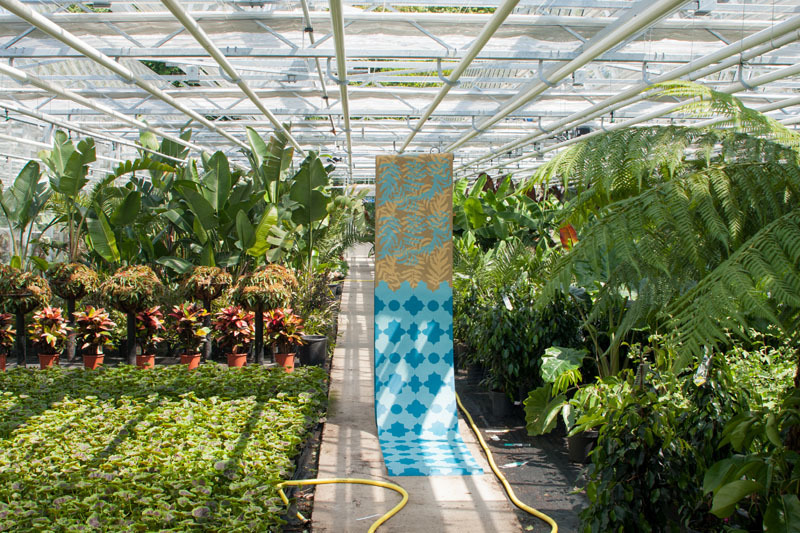 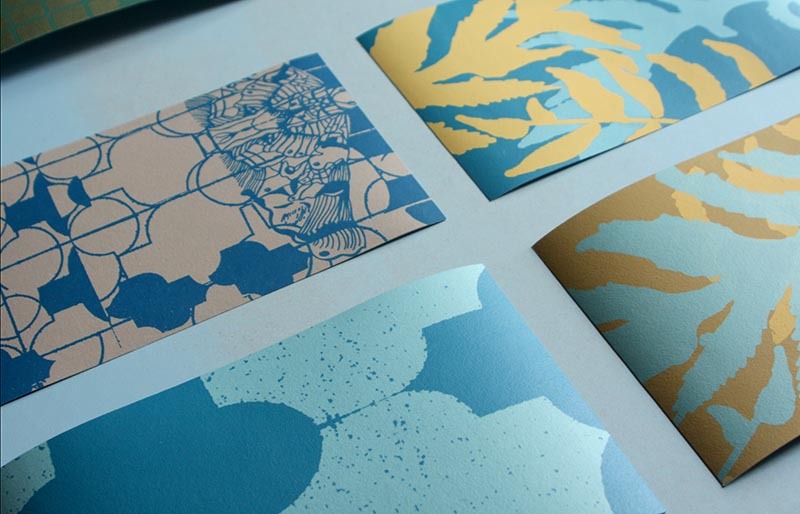 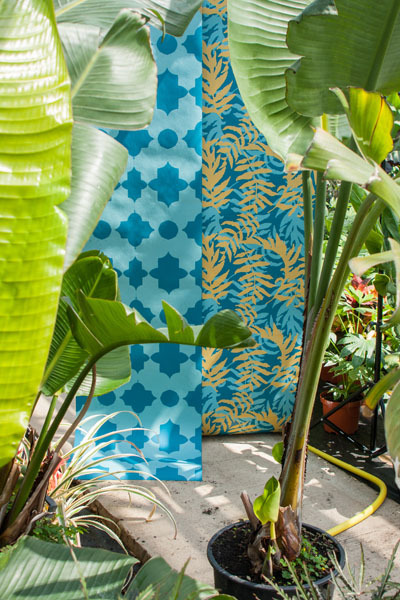 Tropical saturated colours, exhaled in the vibrant pattern. 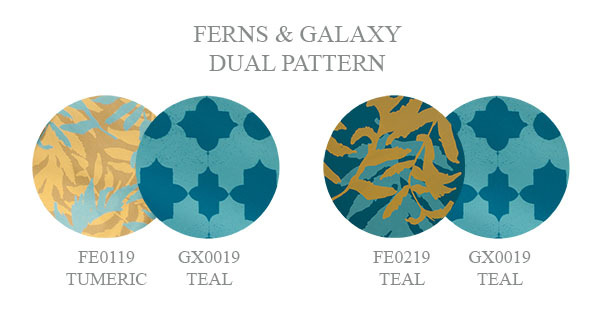 Offering intriguing variation of dual pattern, Ferns and Galaxy motifs, living together on one wall. 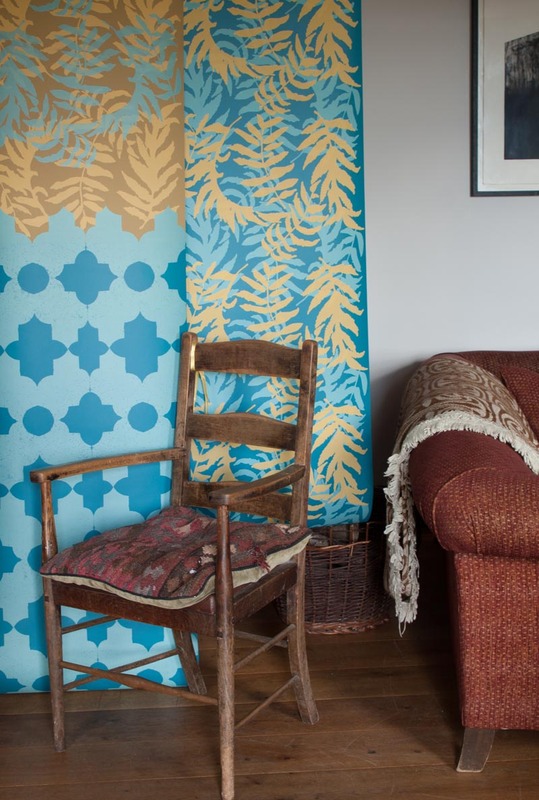 The floral and geometric pattern layered on one surface.